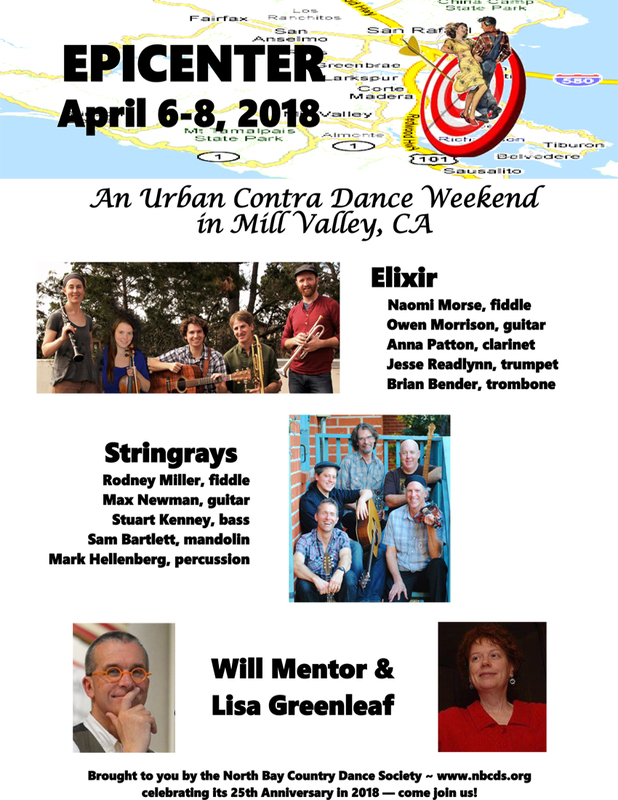 An Urban Contra Party Dance Weekend of unprecedented proportion. One that will rock the West Coast off the Richter scale. 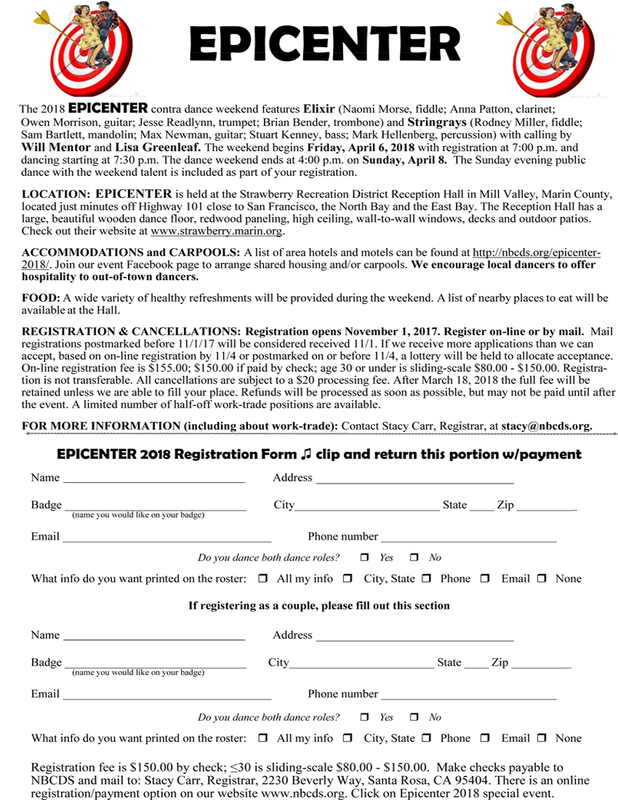 The Epicenter Dance Weekend will be held in gorgeous Northern California the weekend of April 6 – 8, 2018. The setting will be picturesque Mill Valley in the heart of Marin County, just north of the San Francisco Golden Gate Bridge at the beautiful Strawberry Reception Hall. The result will be a weekend of nearly constant Contra dancing to satisfy even the most fanatic of dance gypsies. Elixir blends driving fiddle and guitar with the rich texture and rhythmic excitement of a full horn section, deftly weaving brassy riffs and daring solos. Elegant melodies evolve into raucous dixieland horn riffs; transcendental harmonies, playful improvisations, and rock, swing and reggae-inspired rhythms weave in and out of traditional and original Irish, French Canadian and New England tunes. The band is made up of Naomi Morse on fiddle, Anna Patton on clarinet & vocals, Owen Morrison on guitar & foot percussion, Jesse Readlyn on trumpet, and Brian Bender on trombone. Together these fabulous musicians make up one of the most sought after band on the the Contra Dance camp circuit! Stringrays brings together some of the best Contra musicians on the scene. Between the fiddling of Rodney Miller, Sam Bartlett on mandolin, Max Newman’s guitar, Stuart Kenney on bass/banjo, and percussion by Mark “Pokey” Hellenberg, their sound is playful and sublime, raucous and tender, modern and old-school. Their musical repertoire is always at the forefront of Americana, with stunning original melodies and tasty traditional tunes. They find constant inspiration in each other for lyrical improvising and interplay. Their sound is always fresh, surprising, and nuanced. They make every Contra dancer’s A-list – and for good reason! Lisa Greenleaf’s playful style makes everyone feel welcome, treating dancers across the country to her high spirited, witty calling. She’s known for precise walk-throughs of zesty dances with excellent flow. Her wide knowledge of traditional and modern dances put her in high demand across the country. REGISTRATION & CANCELLATIONS: Registration opens November 1, 2017. The registration fee is $155.00 (checks are $150.00); under age 30 is sliding-scale $80.00 – $155.00. Registration is not transferable. All cancellations are subject to a $20 processing fee. After March 18, 2018 the full fee will be retained unless we are able to fill your place. Refunds will be processed as soon as possible, but may not be paid until after the event. A limited number of half-off work-trade positions are available. Send application and payment (check payable to NBCDS) to our registrar, Stacy Carr, at the address below. If you are unable to open the pdf registration form, just send your (very clearly printed) name, address, email address, and phone number and indicate whether we can print your contact information on the event roster. There are a limited number of half-off work-trade positions available (4-hour commitment). Email Stacy Carr (stacy@nbcds.org) to request work trade. Visit our Facebook Group page to arrange shared housing and/or carpools. Approximately 2 miles SW of hall. Approximately 10 miles N of hall. take exit 447 for Tiburon Blvd/E. Blithedale Ave. Turn left onto CA-131/Tiburon Blvd. Turn Right onto E. Strawberry Dr.
take Exit for CA-131 toward Tiburon Blvd/E. Blithedale Ave. Turn right onto CA-131/Tiburon Blvd. take exit 2A for Sir Francis Drake Blvd. 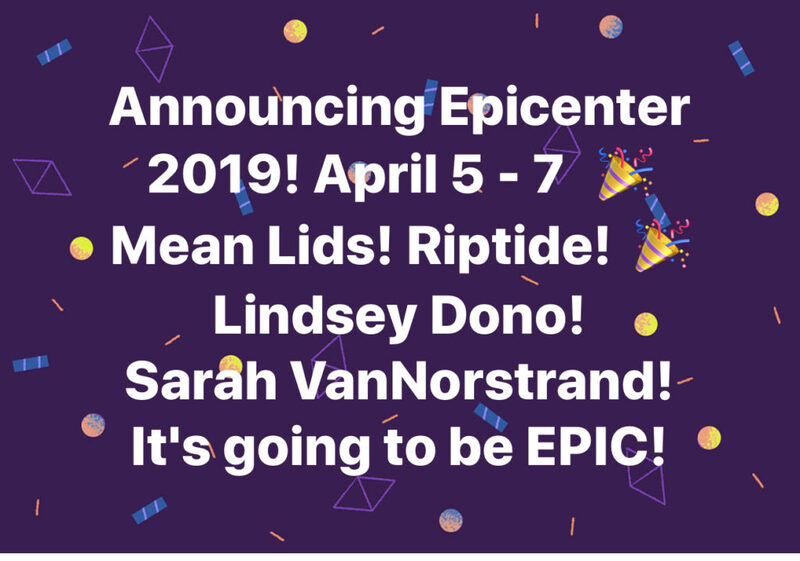 Join the Epicenter Facebook group to discuss the event, post photos, arrange carpools, find roommates for the weekend, etc.